I like to tune in when I'm getting ready for work, cooking, and sometimes even when I'm out running. It's easier to go further when you're enthralled in a story. The content I listen to varies but as a freelance creative, I'm attracted to shows that tackle self-development, creativity, and business. Podcasts have become a huge part of my free education, so today I'm passing along four that are always in my lineup. What's one podcast you always tune into? Tell me which and why you love it in the comments below! Synopsis: Marie is my go-to gal. I LOVE her spunky personality, refreshing honesty and genuine desire to help others in their business. She interviews the best authors, entrepreneurs, creatives, and change-makers that tackle everything from business and marketing to philanthropy, failure, and fear. Each interview ends with actionable strategies for greater happiness, motivation, confidence creativity, and fulfillment. In short, she's a badass and I promise you'll love her witty and inspiring content. Synopsis: Guy Raz dives into the stories behind some of the world's most successful companies and the idealists who built them. Each innovator has a completely different journey on their road to building their company, but one thing they all share is setbacks. Every story is an inspiring tale of trials and tribulations, and what can happen if you hang on and keep going. Synopsis: Melyssa Griffin teaches online entrepreneurs and bloggers how to turn their passions intro profitable businesses. Through online courses, free webinars, a Facebook community, and more, she's helped over 100,000 creative hustlers stand out online.This podcast is about her journey to finding happiness through work and creating a positive impact on the world. Synopsis: Jenna Kutcher is a marketing entrepreneur, photographer, and one of the most refreshingly honest voices in social media. 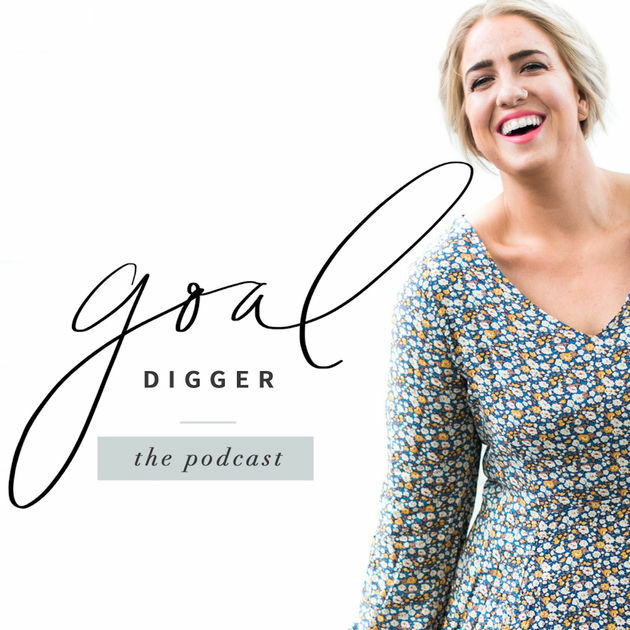 Her live-workshop style business podcast is meant to help people redefine success, chase dreams, and teach how to make a living, doing what you love. Her podcast episodes focus on marketing, social media, creative entrepreneurship, small business strategy and branding. Digging this creative resource content? Sign up for my bi-weekly newsletter!